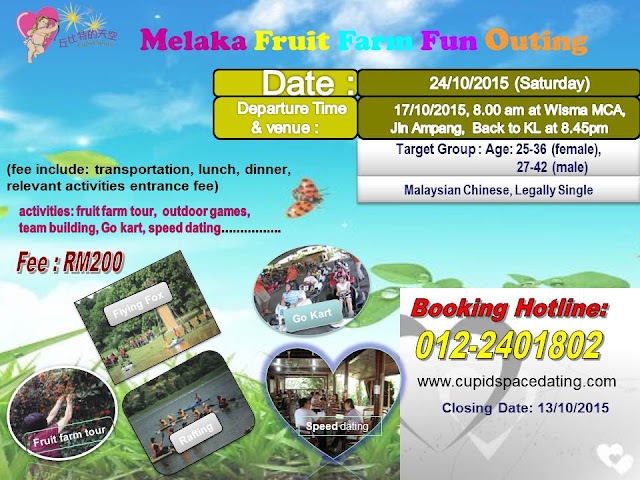 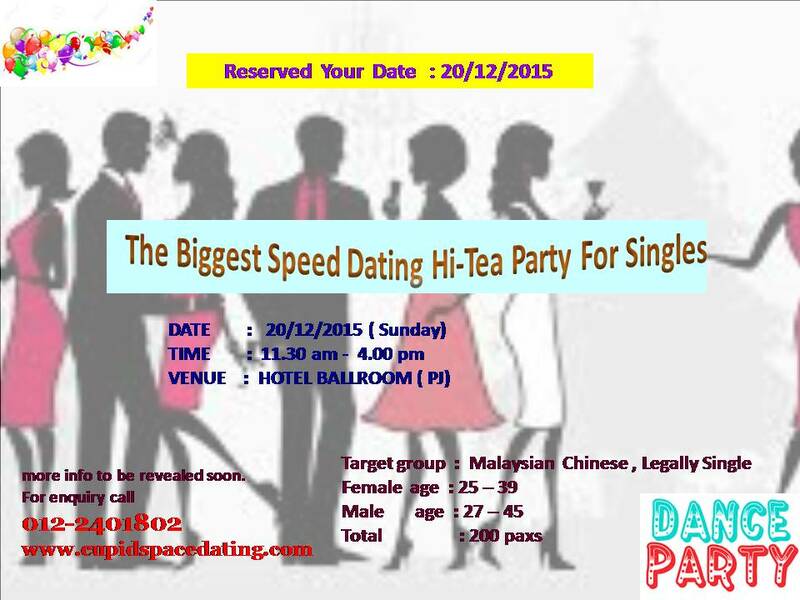 SMS 012-2401802 to book now ! 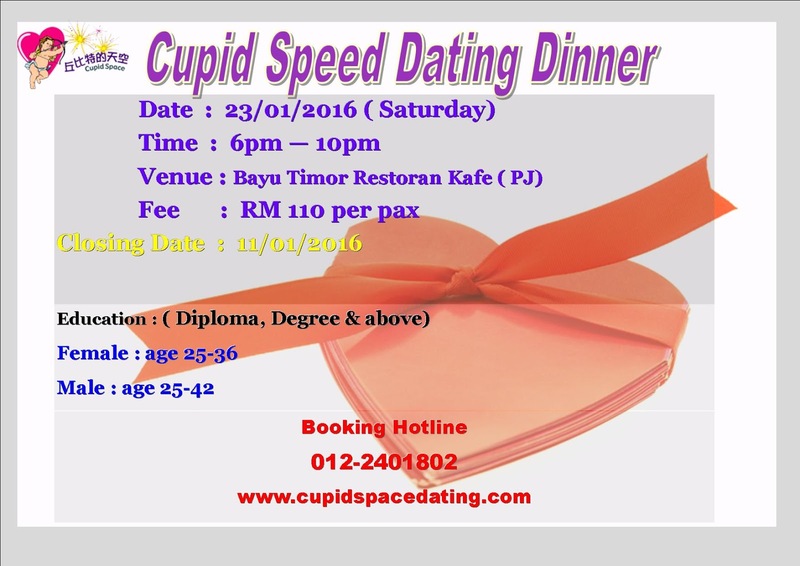 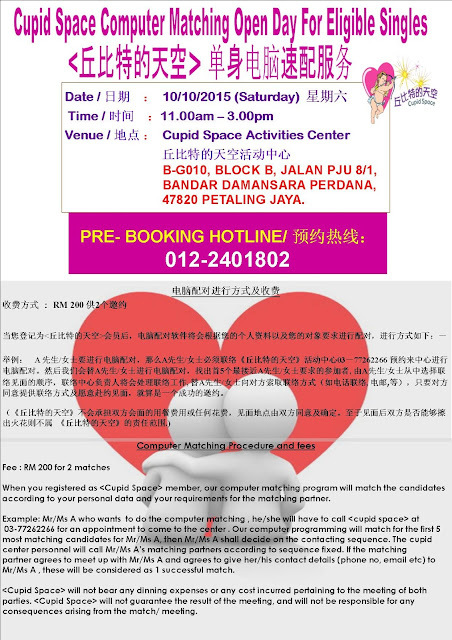 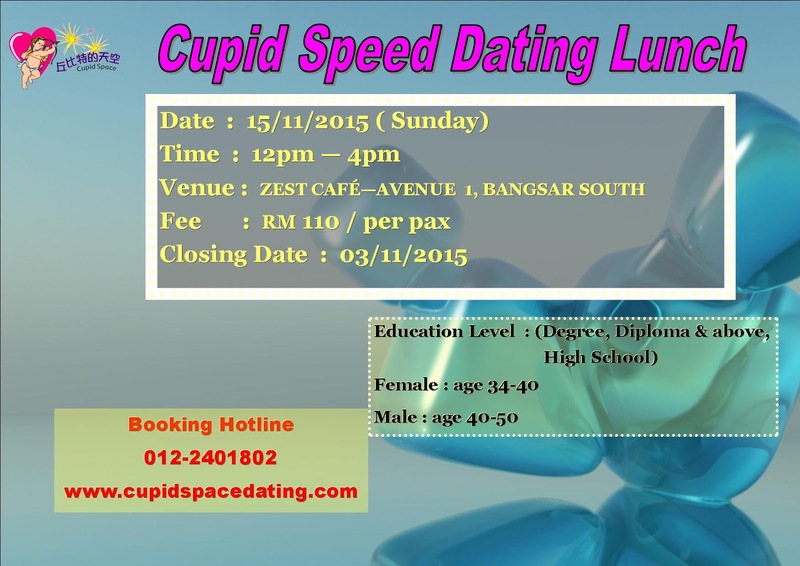 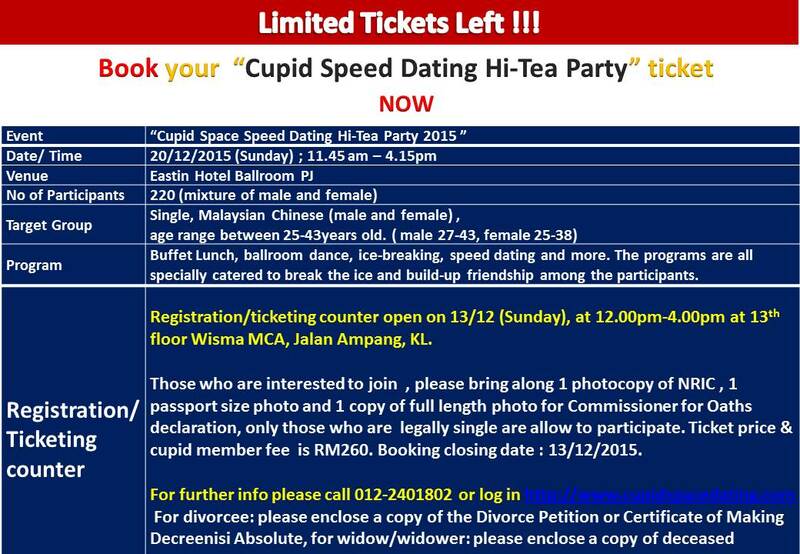 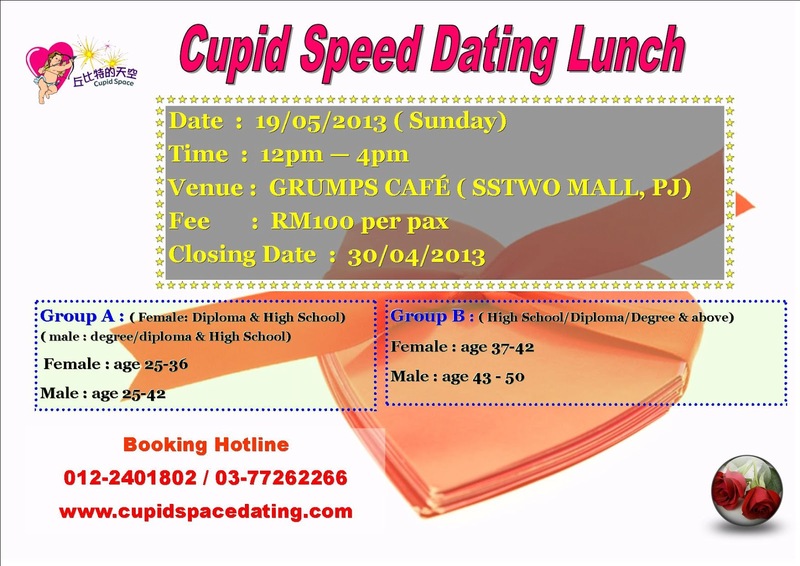 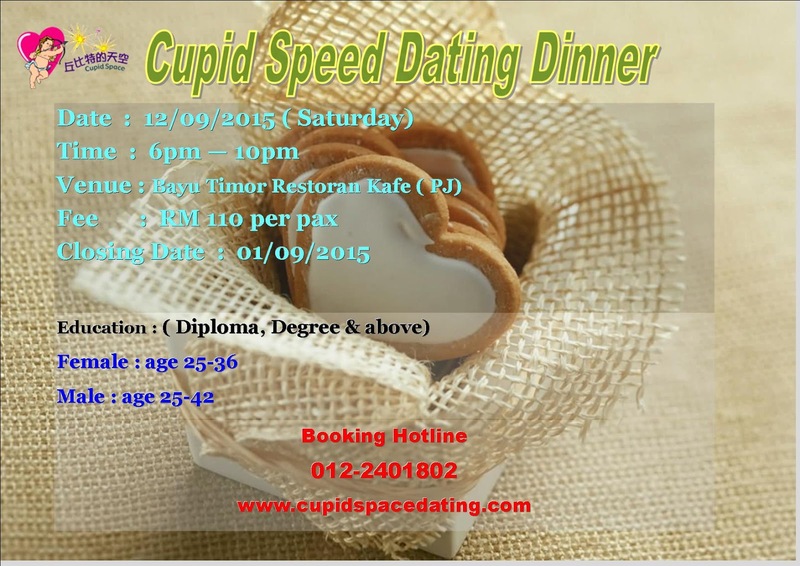 Cupid Space Activities Center is opening on 10/10/2015（Saturday) form 11.00am -3.00pm at Damansara Perdana venue for cupid member to do the computer matching service， those members whom are interested to do the computer matching, pls call 012-2401802 for appointment. 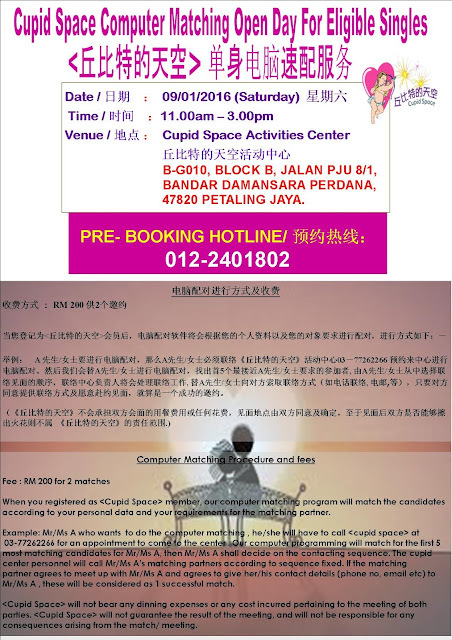 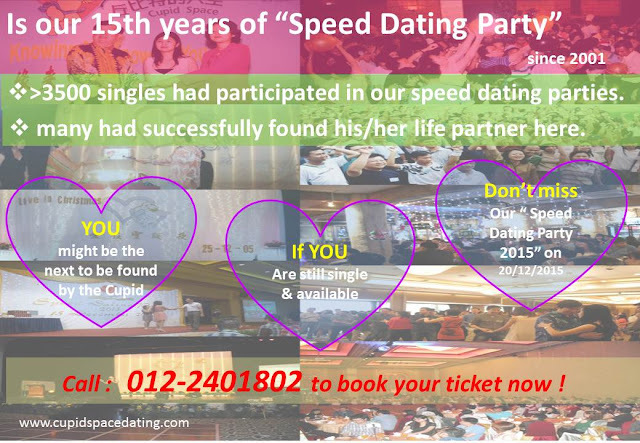 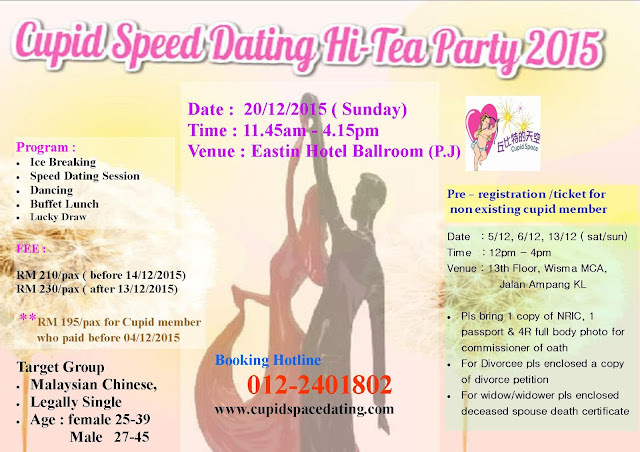 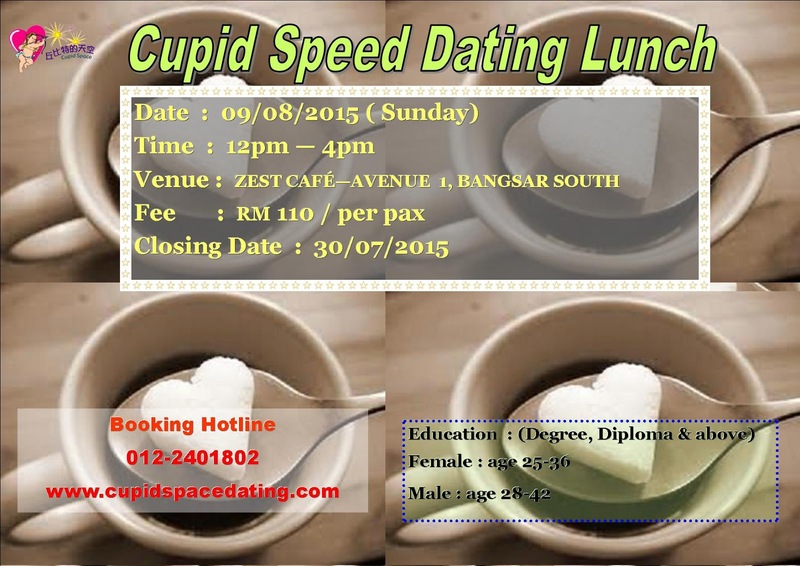 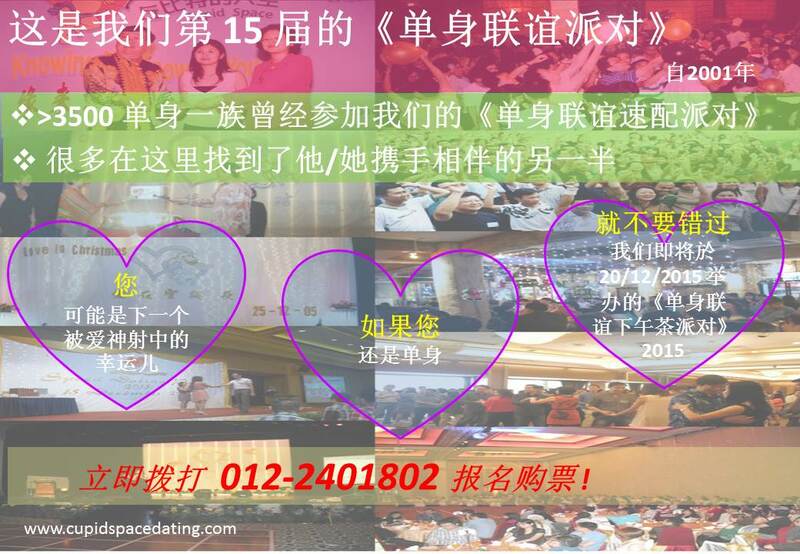 Cupid Space Activities Center is opening on 05/09/2015 （Saturday) form 11.00am -3.00pm at Damansara Perdana venue for cupid member to do the computer matching service， those members whom are interested to do the computer matching, pls call 012-2401802 for appointment.